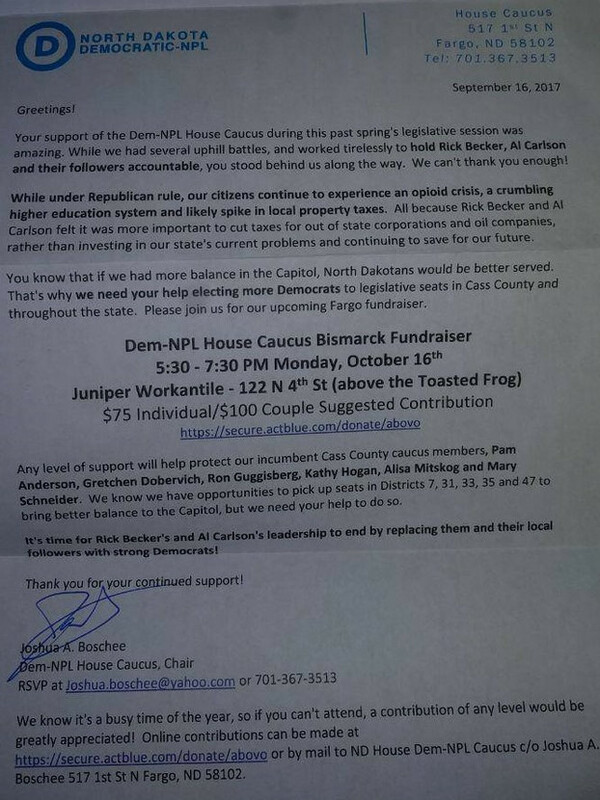 In a letter received this week by supporters of the “Dem-NPL House Caucus”, State Representative and Caucus Chair Joshua Boschee (D – District 44) appears to have shown which North Dakota Republican concerns them the most. While acknowledging his party’s “uphill battles” in the last Legislative Session, Rep. Boschee cites just two House Republicans in his letter: Rick Becker (R – District 7) and House Majority Leader Al Carlson (R. – District 41)– in that order. The fact that Boschee chose to list Rep. Becker at all is telling. But to list him ahead of Rep. Carlson is especially intriguing since Carlson is the Majority Leader. And doing it as part of a fundraising letter in hopes of picking up seats in the North Dakota House in 2018 shows the credibility of Rick Becker as a political force in the state. 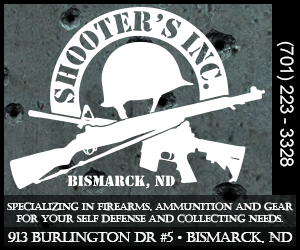 As you’re probably aware, among the list of names being bantered around as potential opponents to current Democratic United States Senator Heidi Heitkamp is that of Rick Becker. I wrote about this possibility back in May. 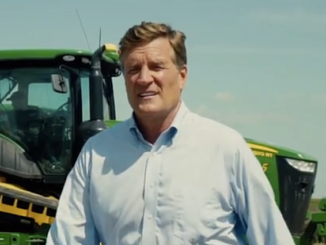 And while State Senator Tom Campbell (R – District 19) is currently the only Republican to have announced his candidacy, word is that Democrats aren’t all that concerned about him in a head to head matchup with Heitkamp. But recent polling released just two days before Rep. Boschee’s letter was written shows what many of us have been saying for a long time now– that Heitkamp is vulnerable. 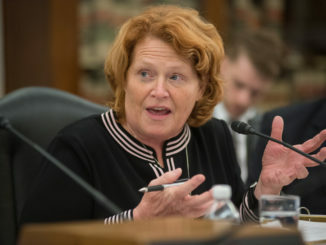 Just 42% of those polled believe Heitkamp to be deserving of re-election. And even State Treasurer Kelly Schmidt – who hasn’t announced any intentions of running – polled four points ahead of Heitkamp in a theoretical head to head matchup. While these issues might hurt Republicans in some key districts in the state, it seems to me that it’s unlikely that this will be the case in Rep. Becker’s historically strong Republican district. Not to mention the fact that had Republicans listened to Becker over the years and adopted his platform of truly limited government – instead of Carlson’s – the state would have saved itself some fiscal headaches the last couple of years. And that includes issues relating to property taxes. 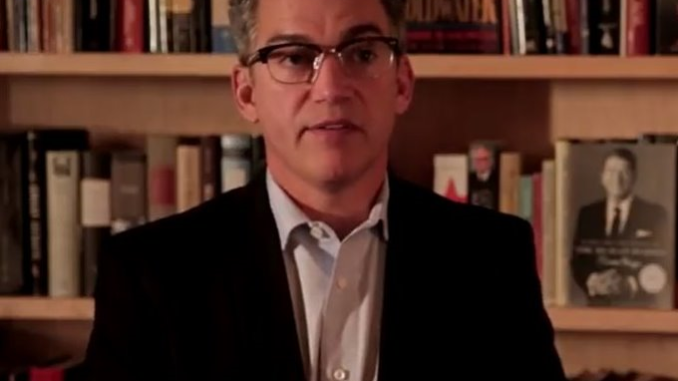 With the growing influence of the Bastiat Caucus in the State Legislature – which was started by Rick Becker in 2013 – it seems the Democrats recognize him as a defacto leader within the party. And rightfully so. In addition to the Bastiat, he was the darling of the 2016 State Republican Convention, and led the charge last session on issues like confidential informant reform and Constitutional Carry. He’s a thorn in the sides of Democrats – and Establishment Republicans alike – especially when it comes to issues of spending. If Republicans are going to beat Heidi Heitkamp in November of 2018, they will need a candidate that can craft a clear message and espouse a vision that is distinctively different from the current United States Senator. They will need a candidate who can effectively illustrate her failures as well. Messaging will be vital and that is Rick Becker’s strength. Could it be that Democrats recognize this? Could it be that they not only fear the growing influence of Rick Becker in the State House, but they fear him as a potential opponent to Senator Heidi Heitkamp as well? 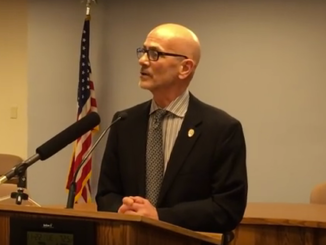 Regardless of all that Rep. Boschee’s letter might mean, one thing is certain– being #1 on the Democrat’s hit list should be a badge of honor for Rep. Rick Becker.